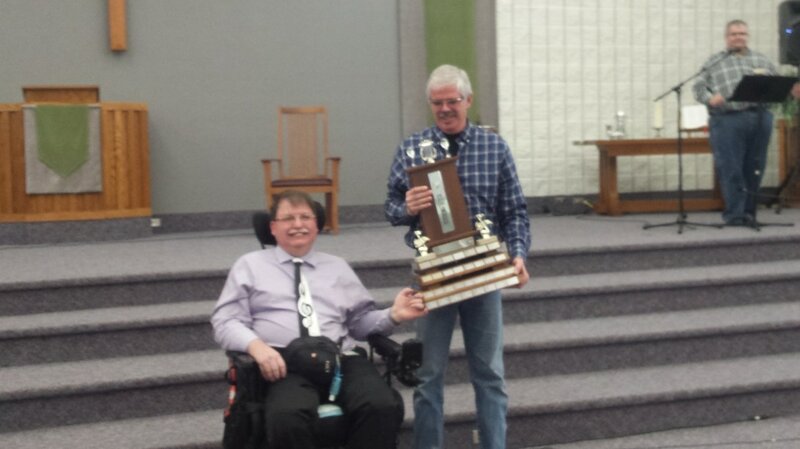 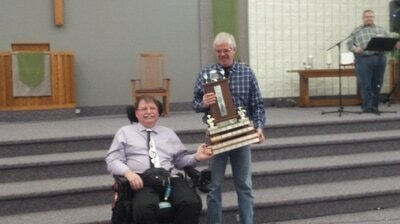 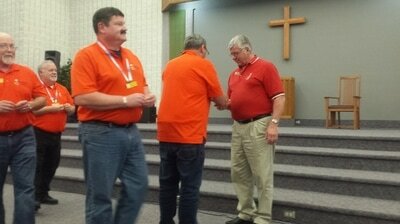 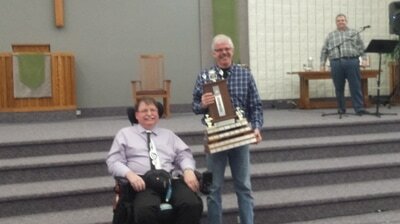 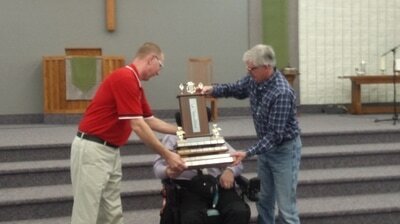 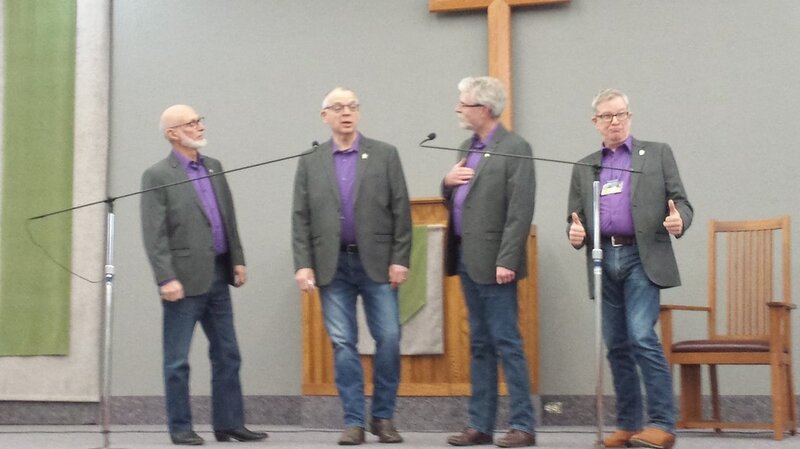 On February 25th, 2017, at the East Christian Reformed Church in Strathroy, Ontario, The Strathroy Vocal Federation hosted the annual Western Division Novice Quartet Competitions. 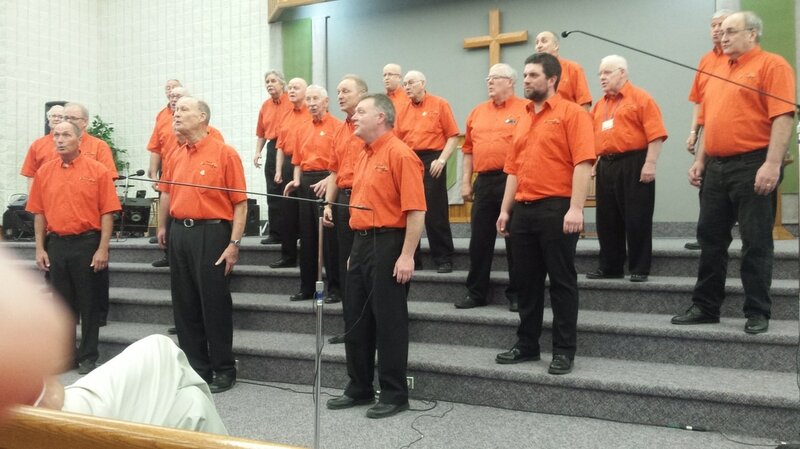 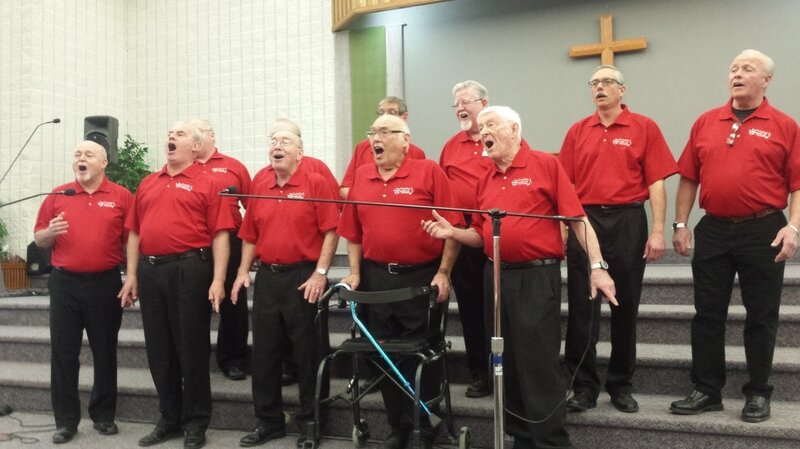 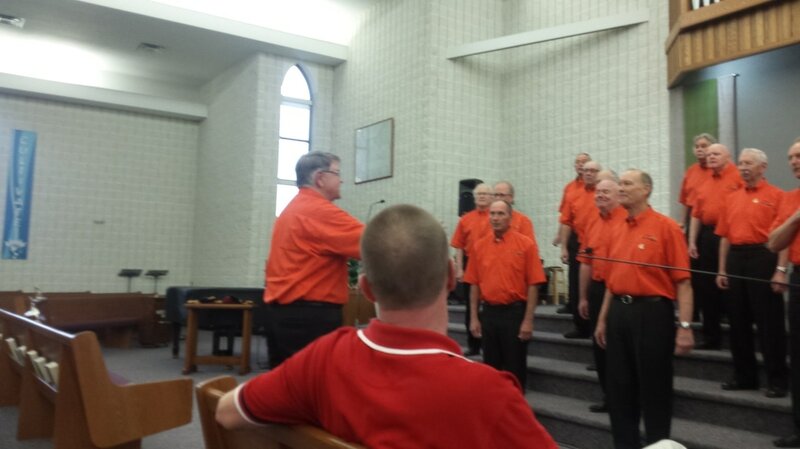 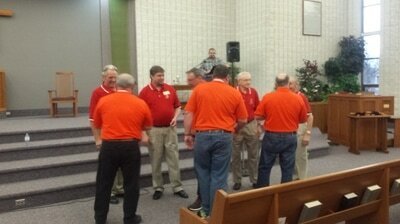 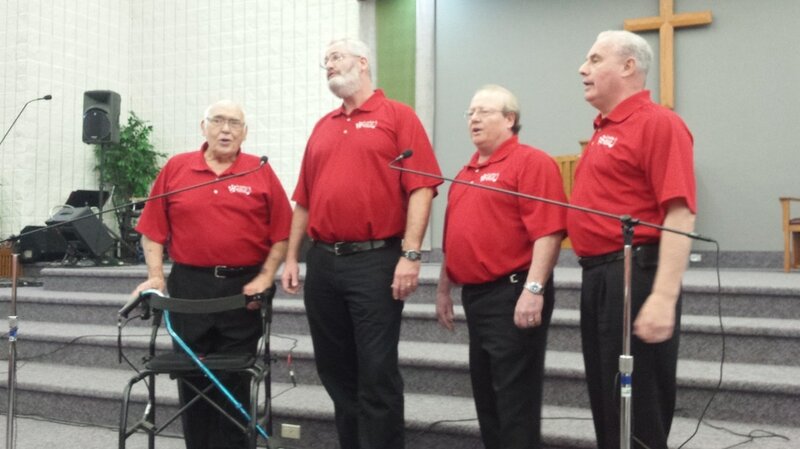 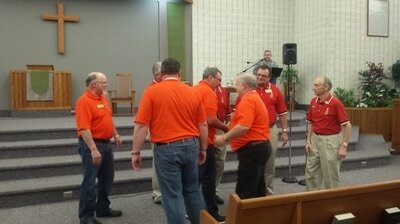 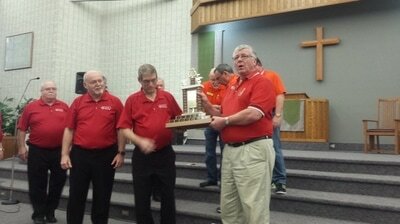 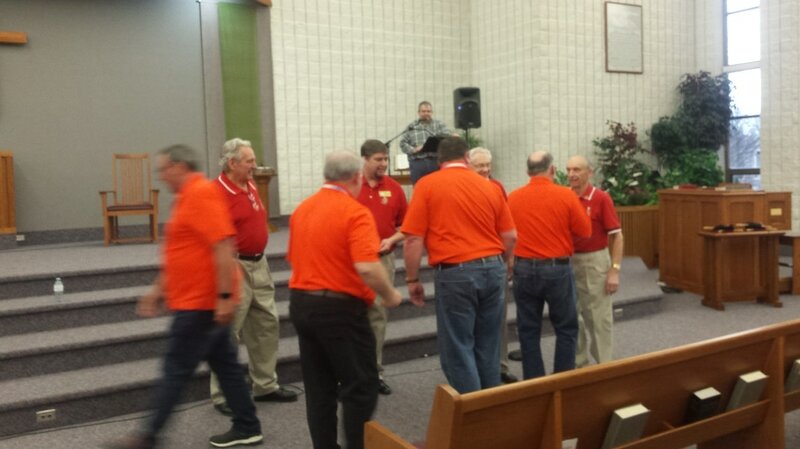 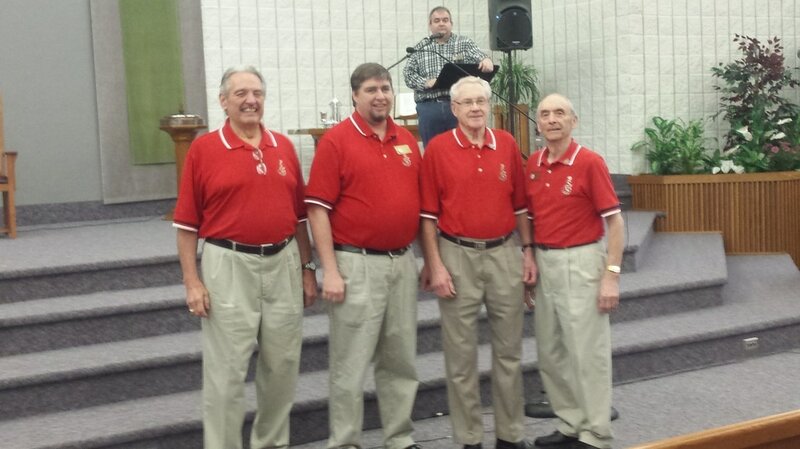 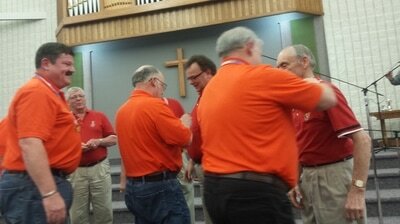 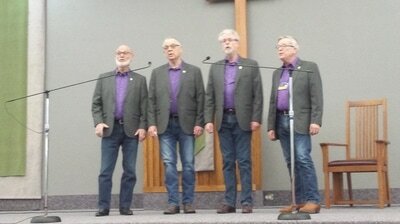 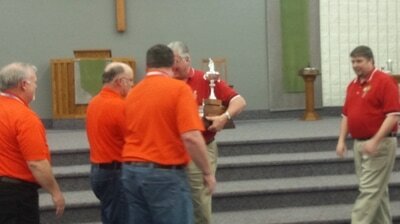 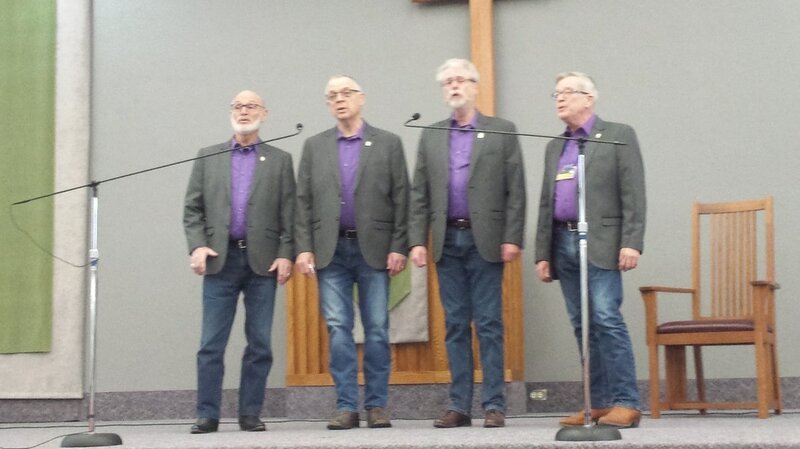 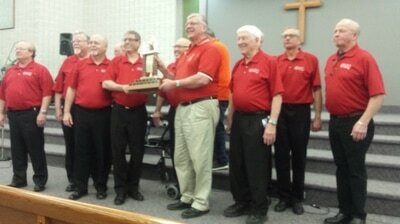 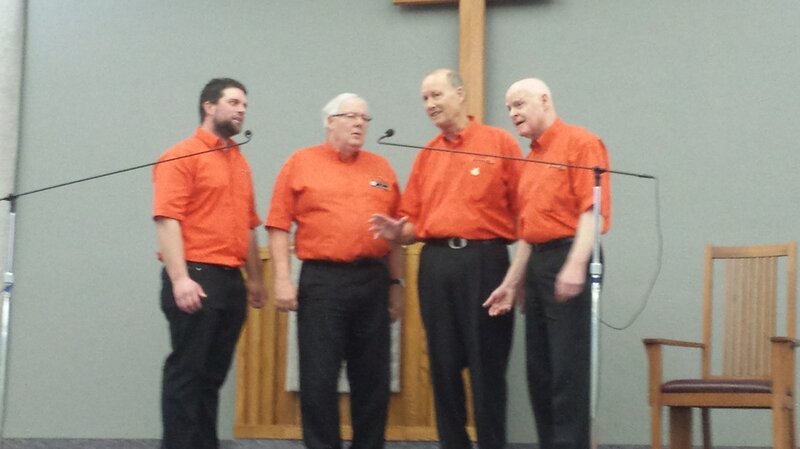 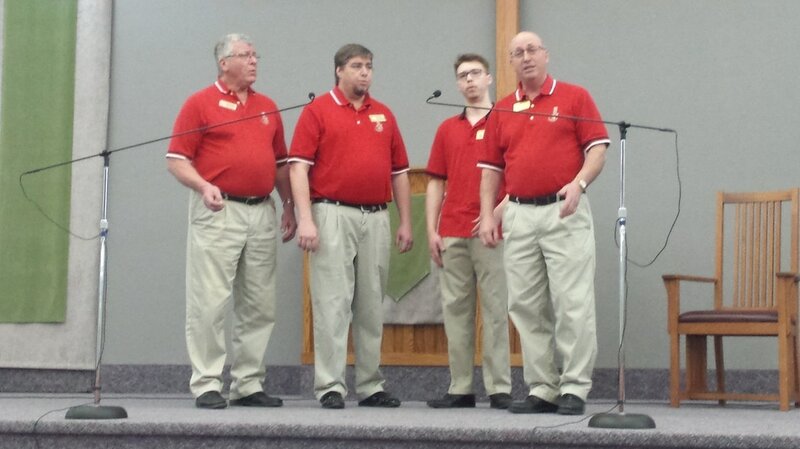 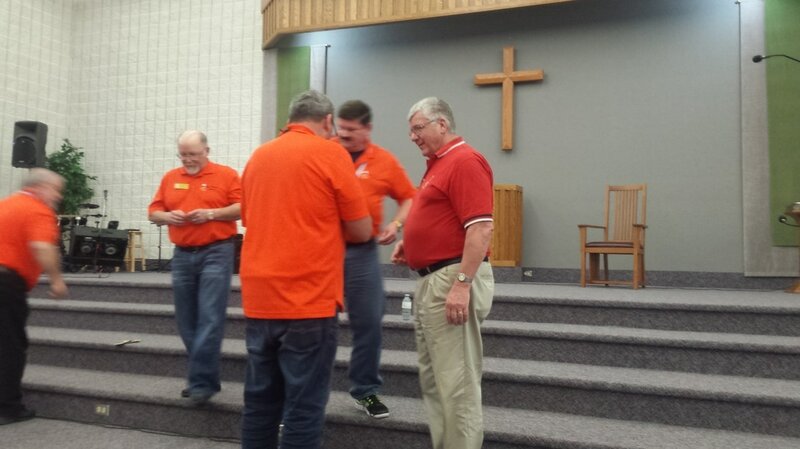 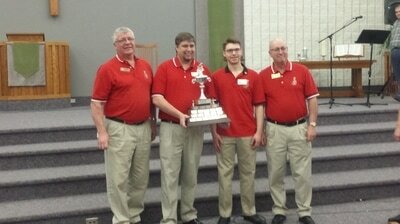 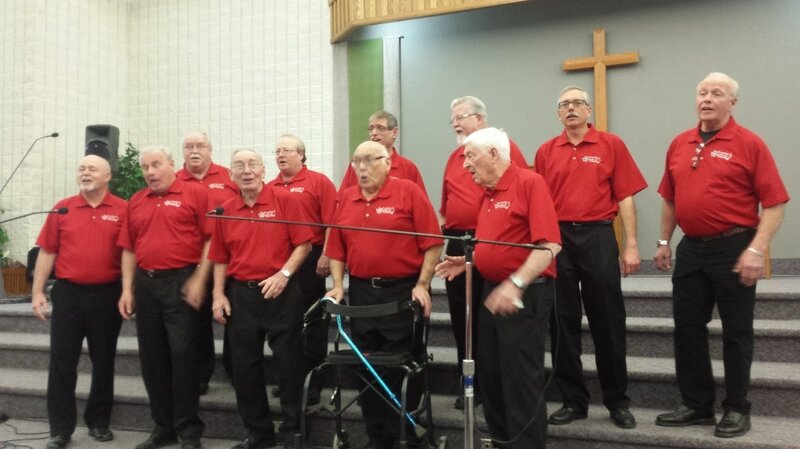 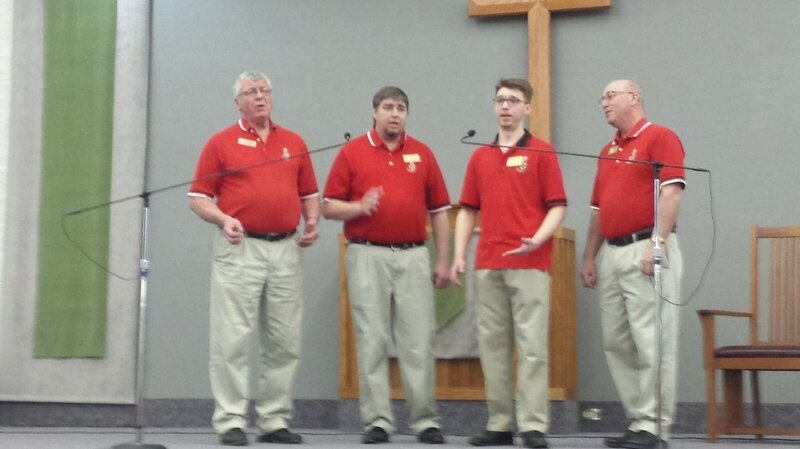 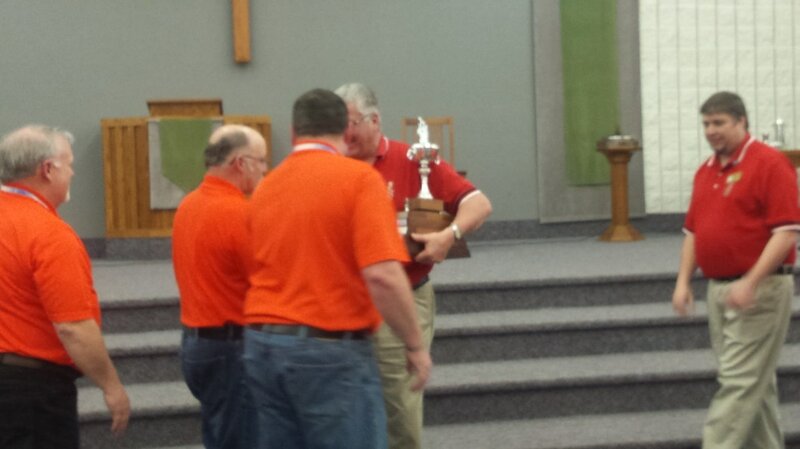 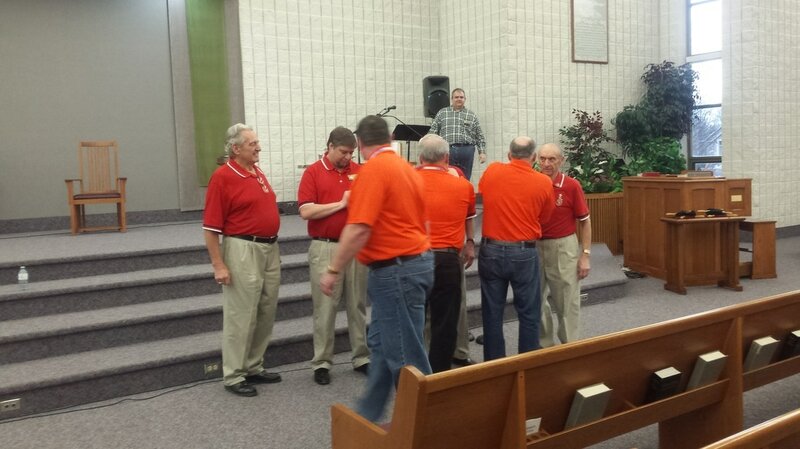 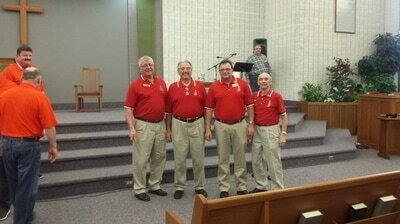 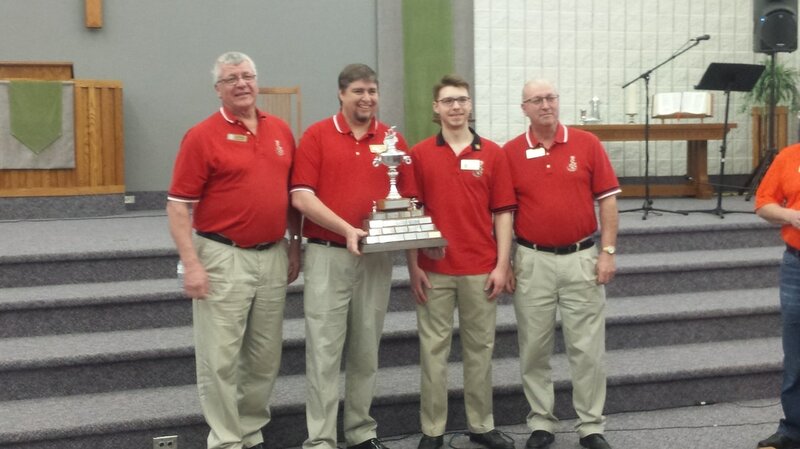 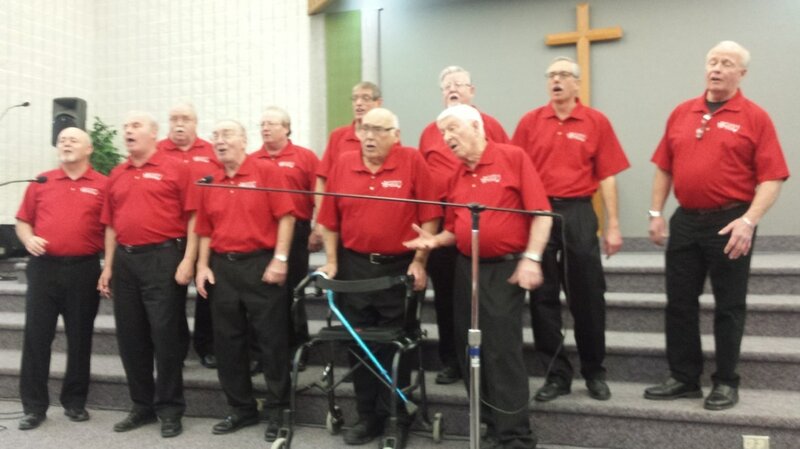 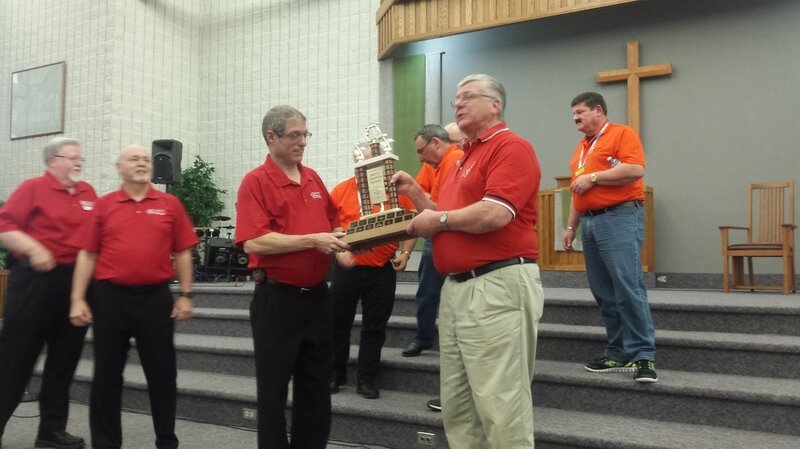 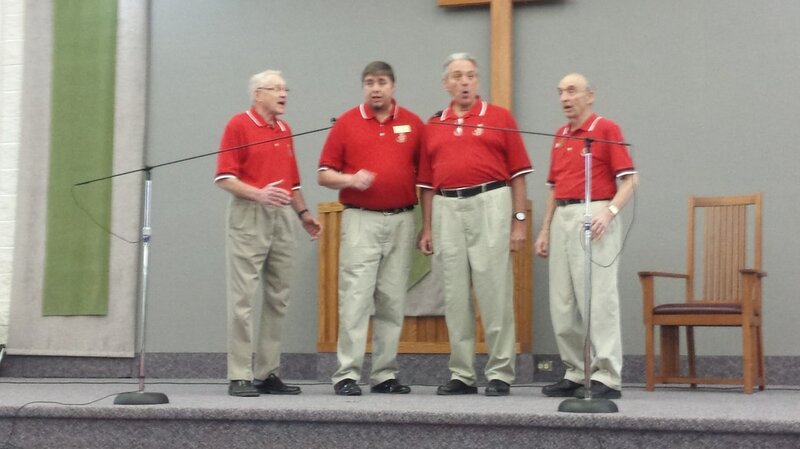 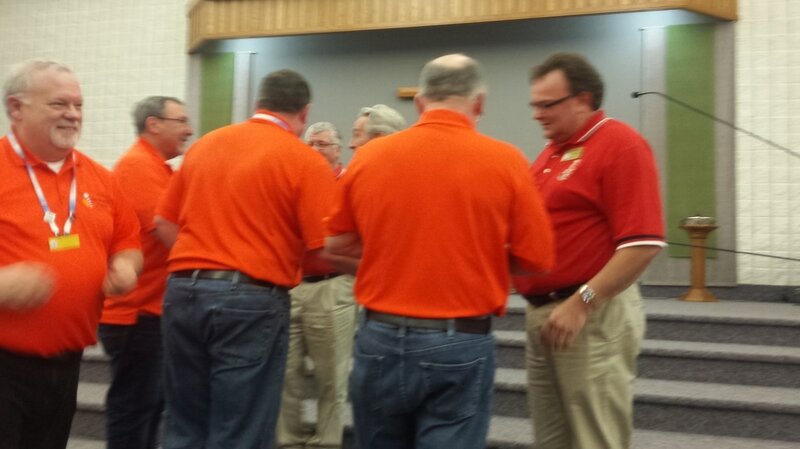 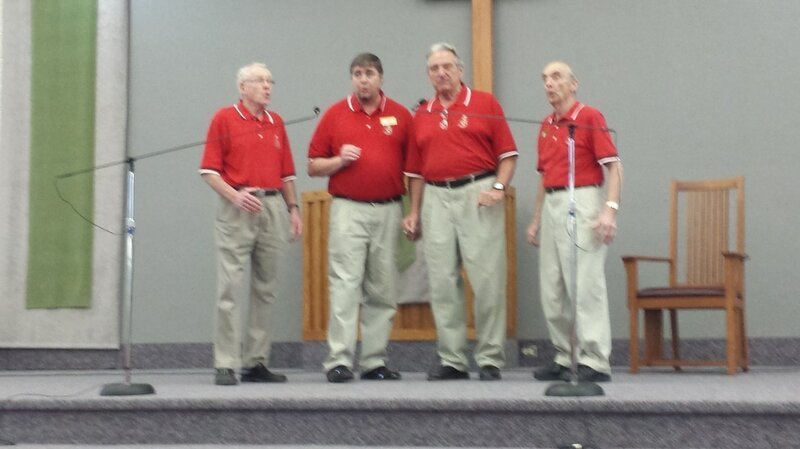 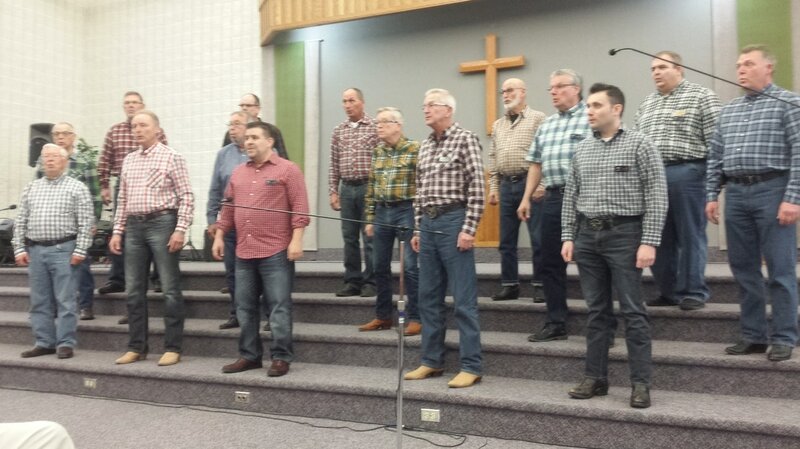 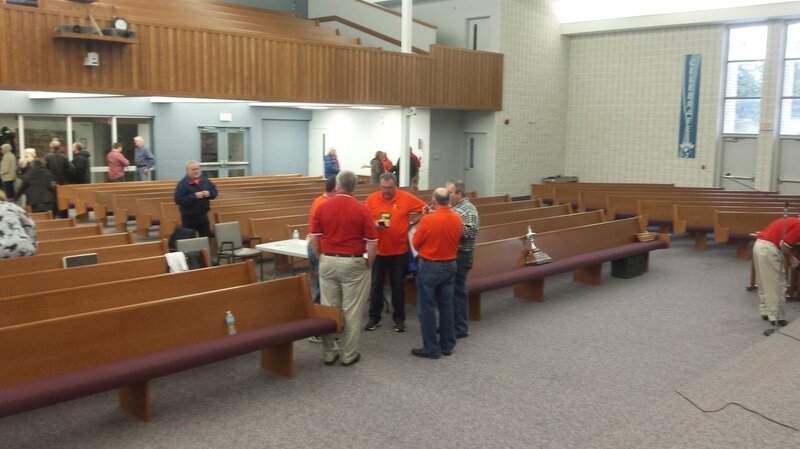 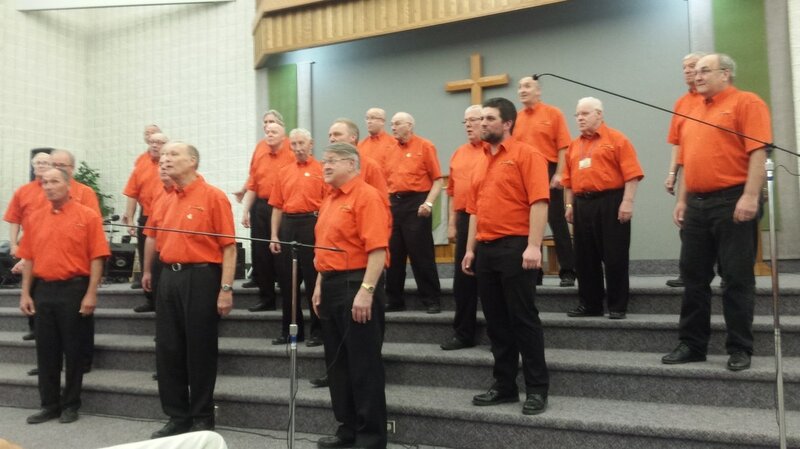 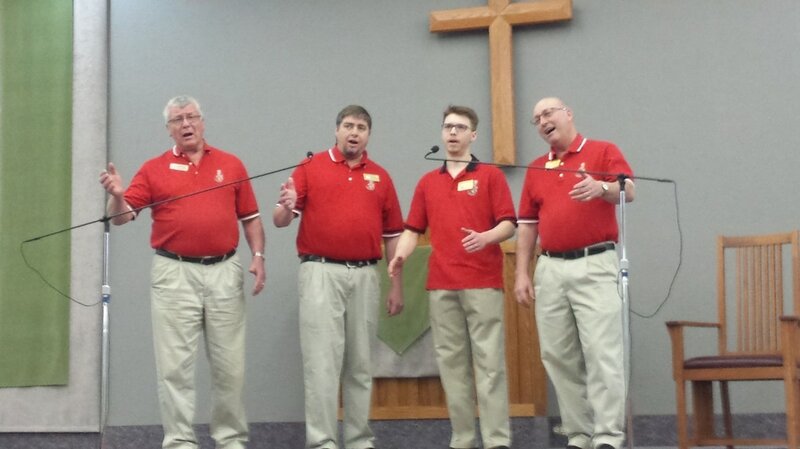 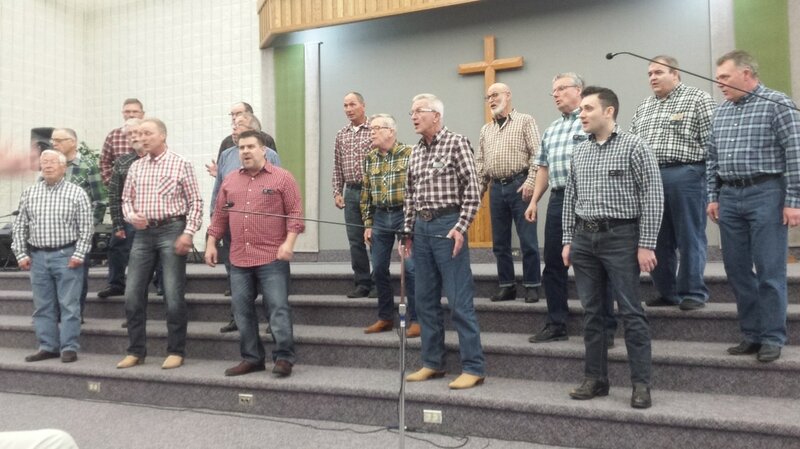 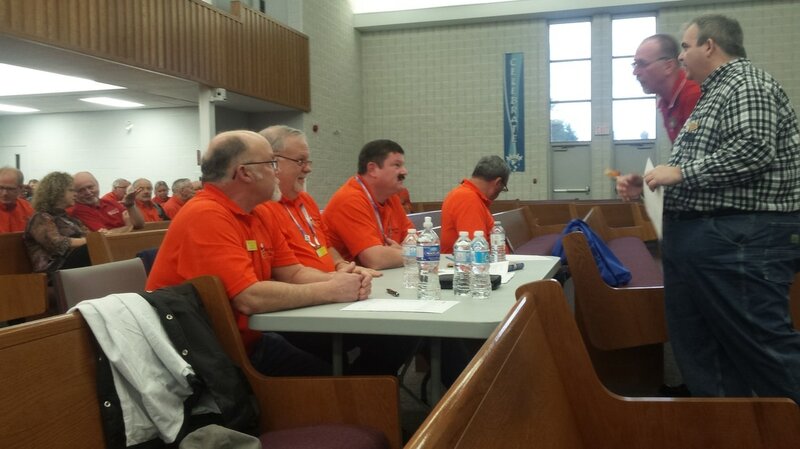 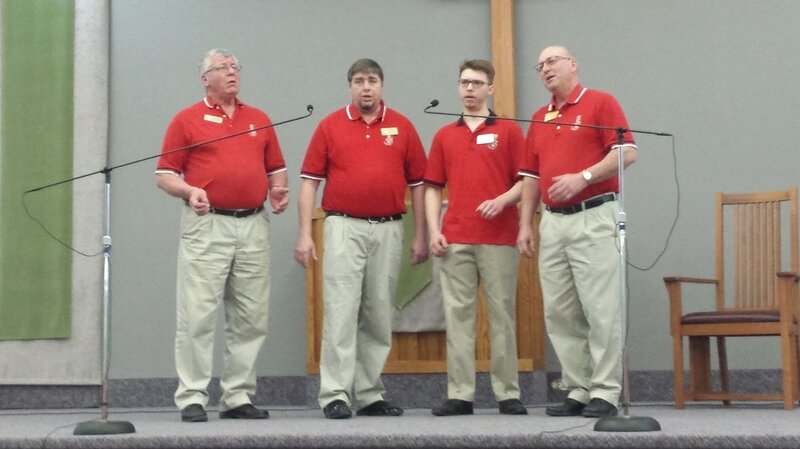 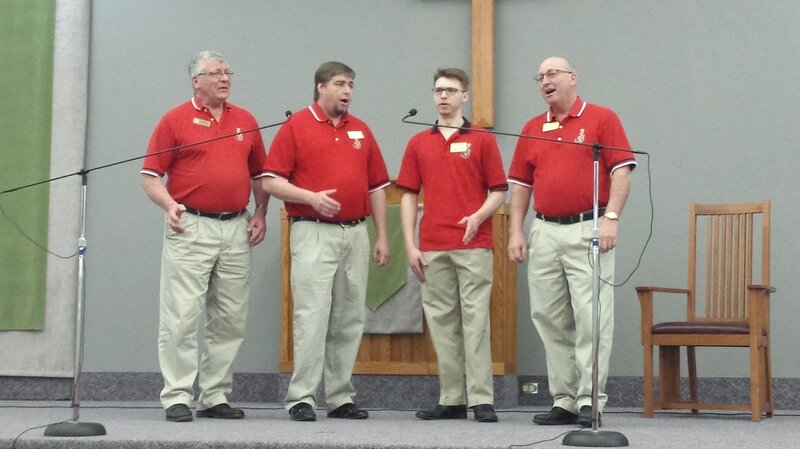 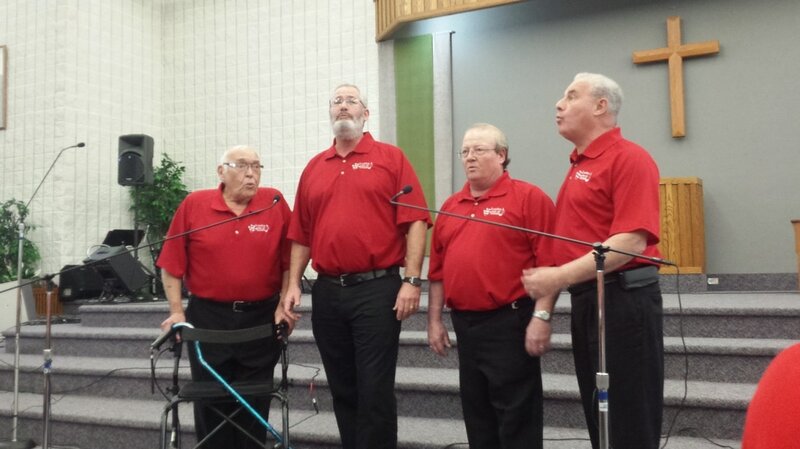 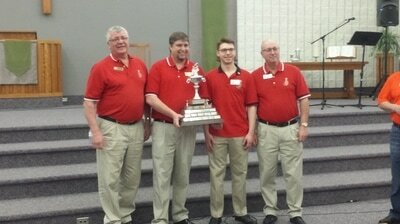 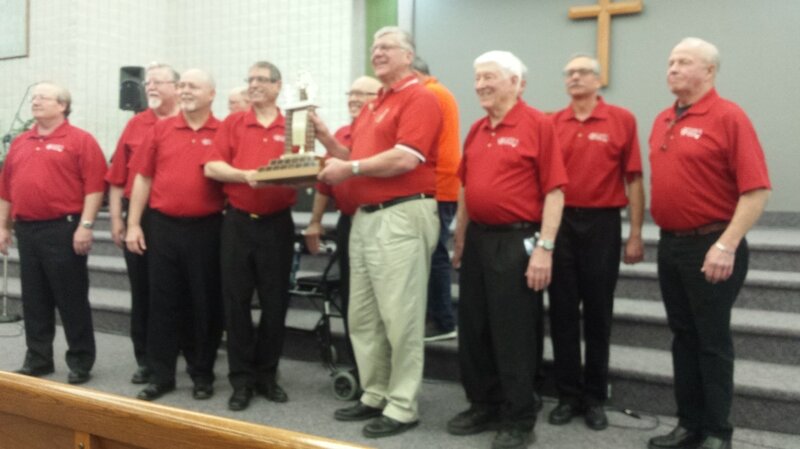 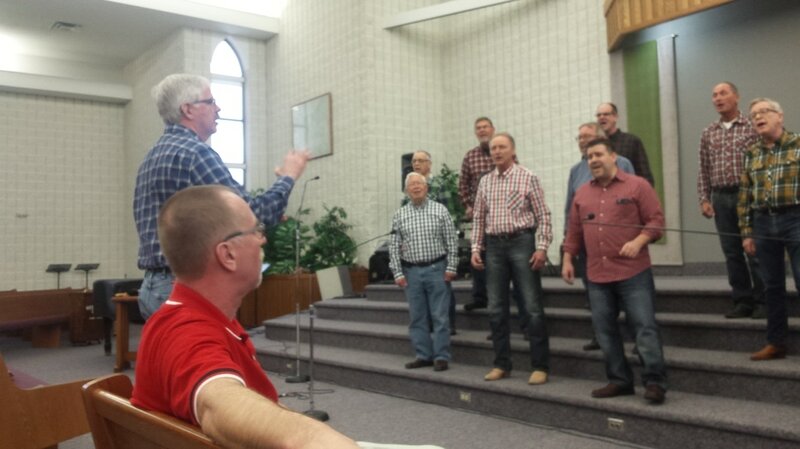 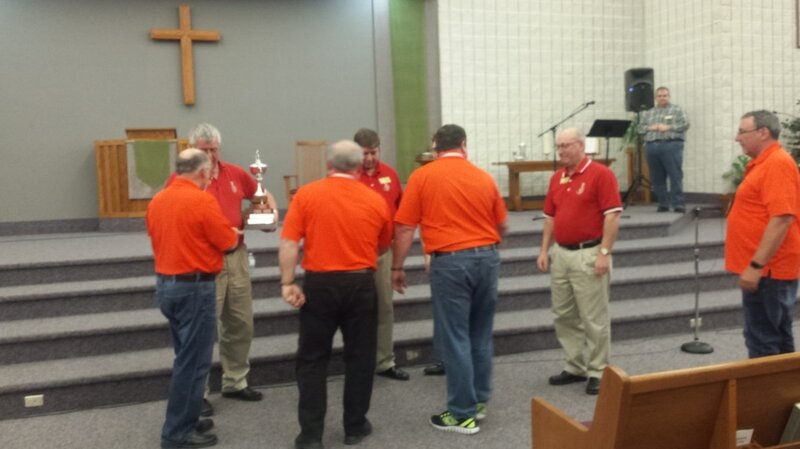 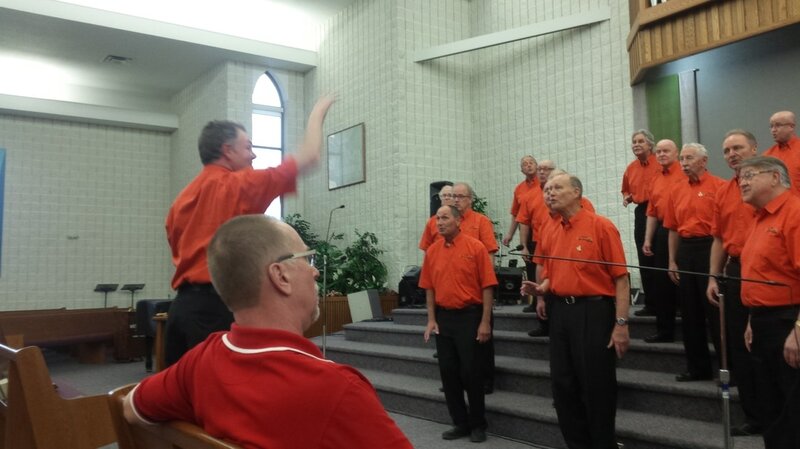 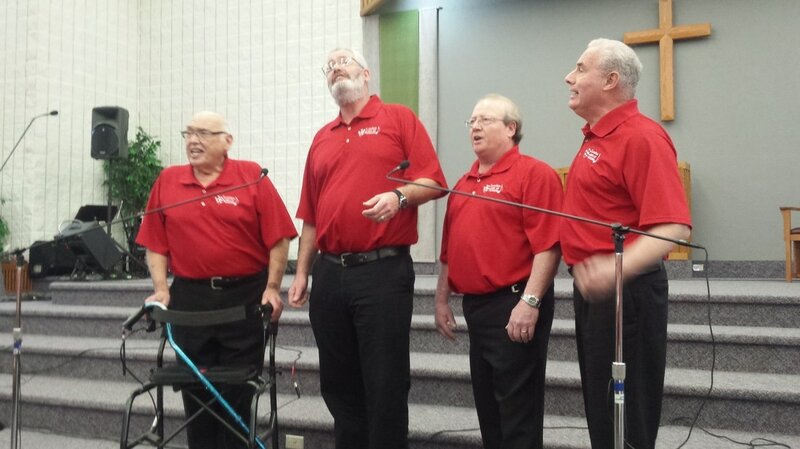 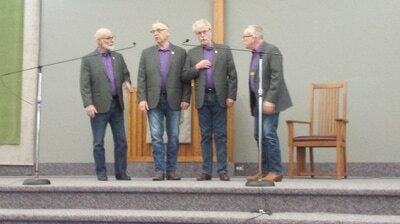 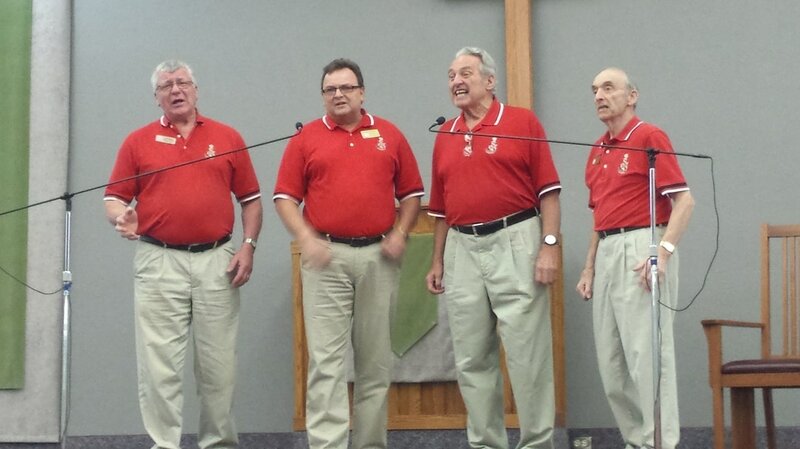 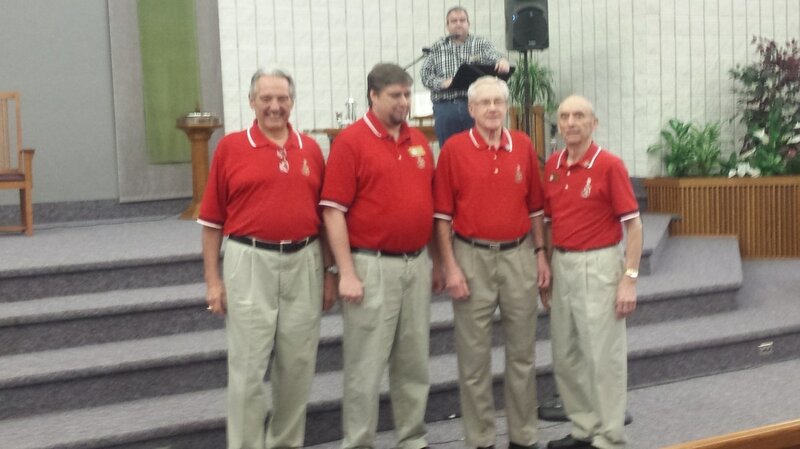 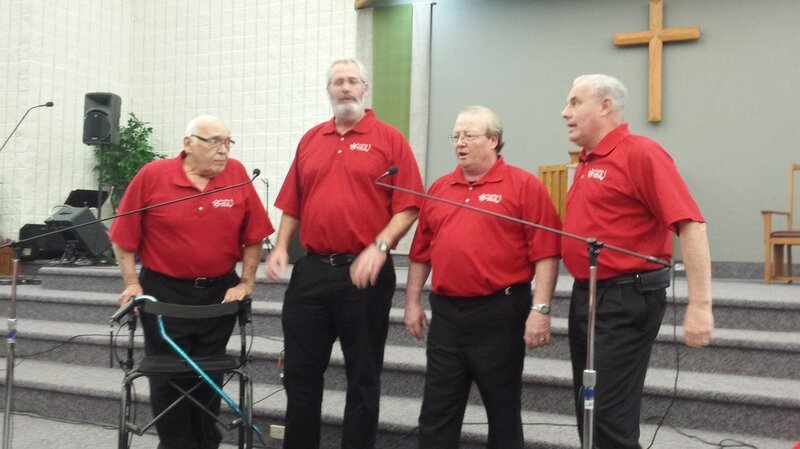 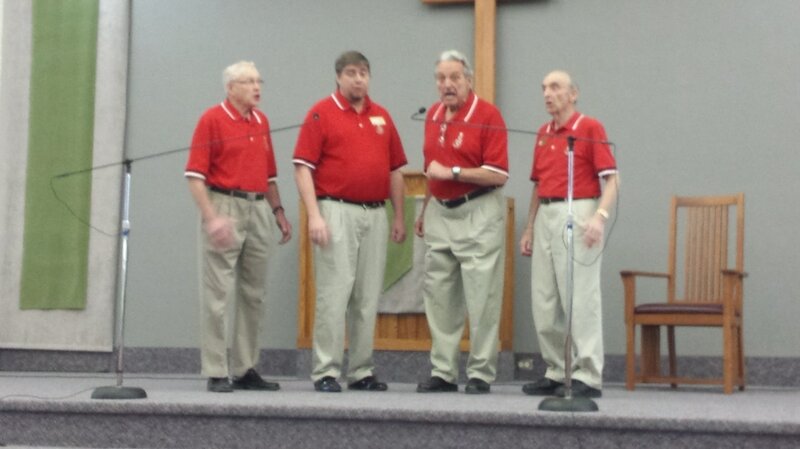 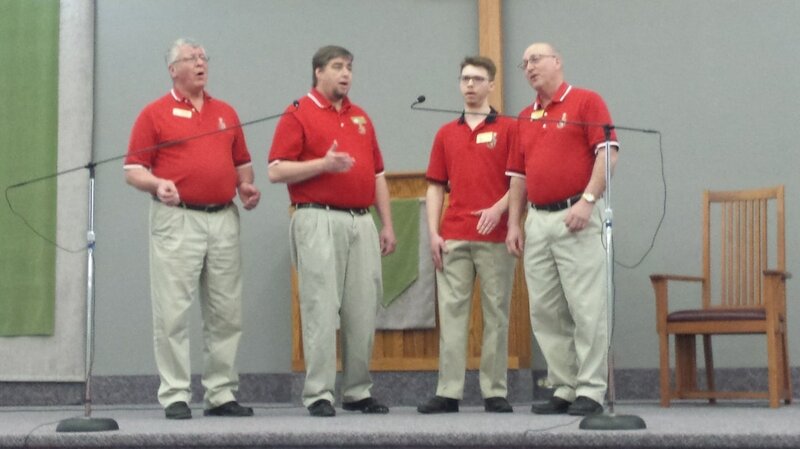 Newly formed quartets, and the chapter choruses that they came from, all came together in Strathroy to compete for trophies. 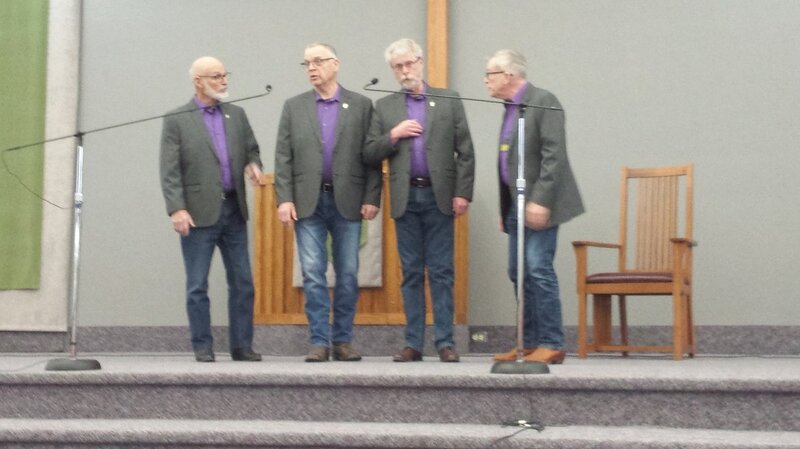 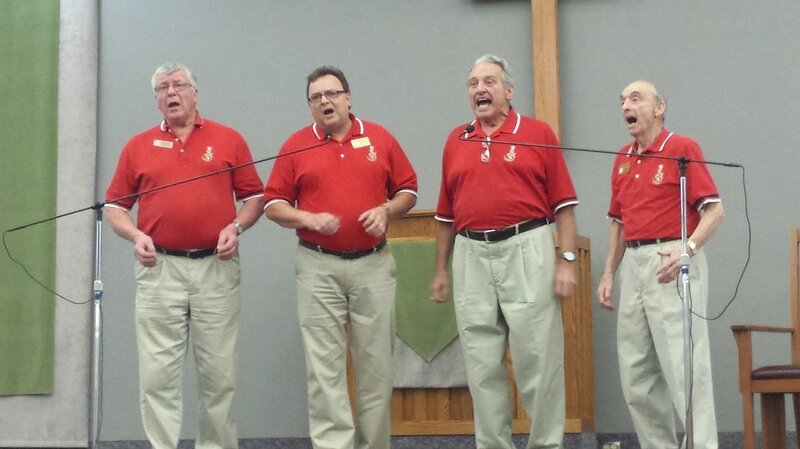 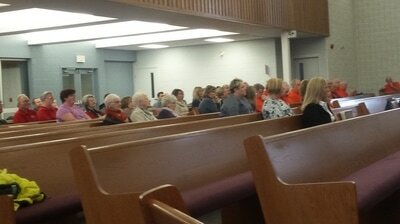 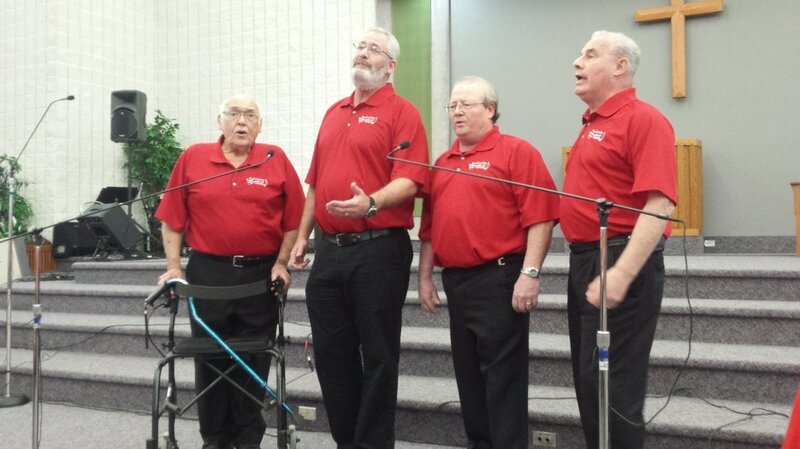 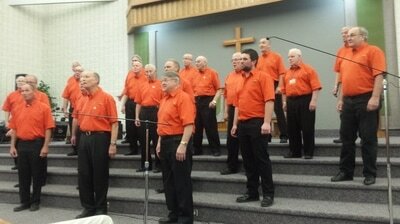 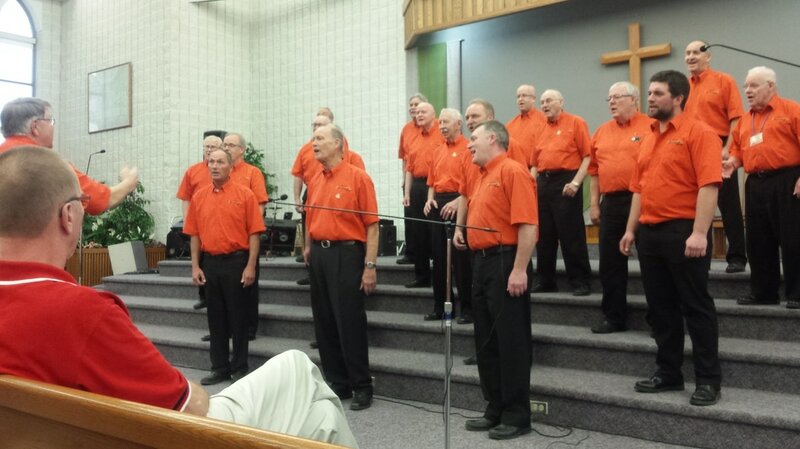 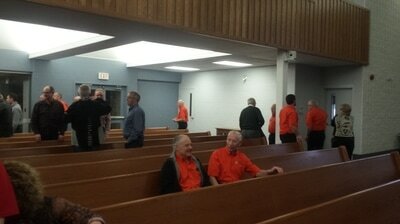 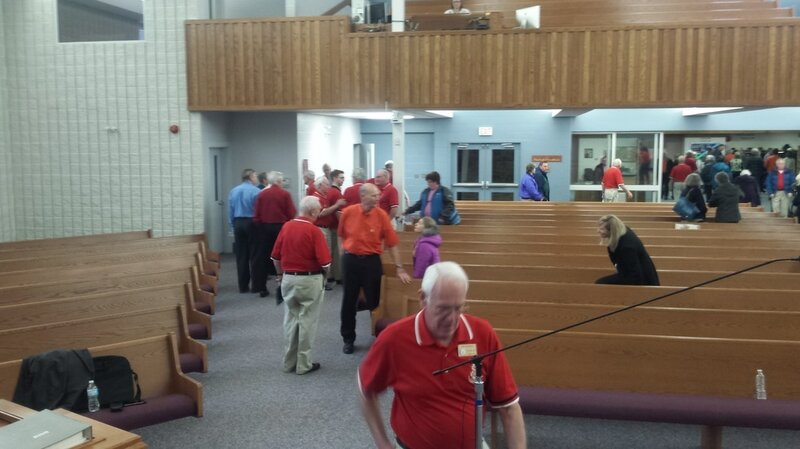 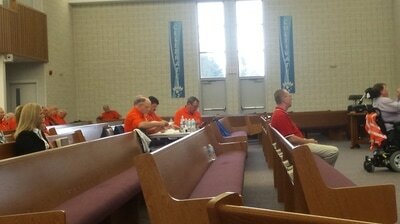 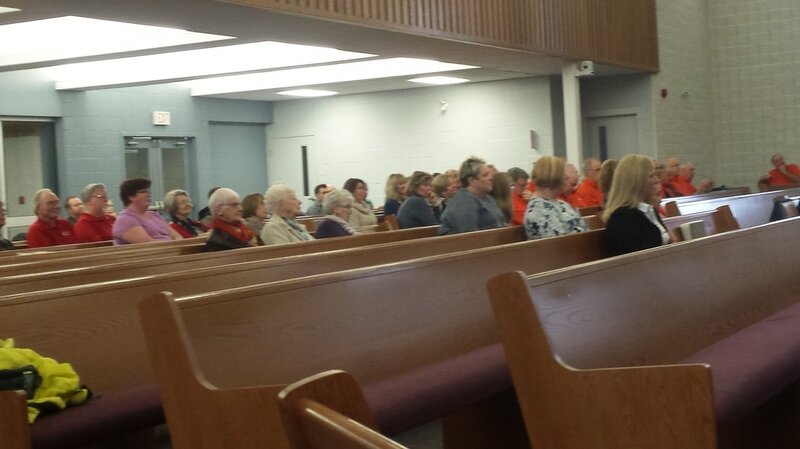 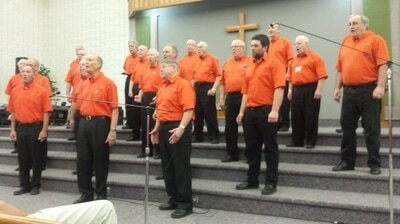 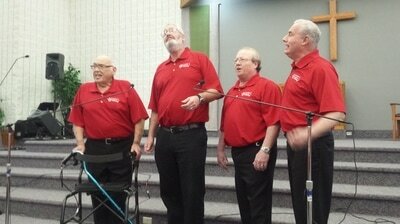 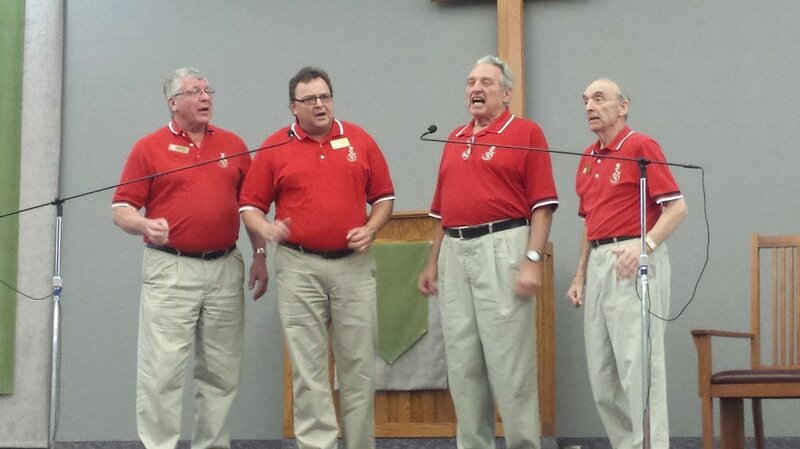 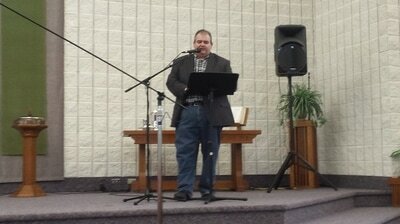 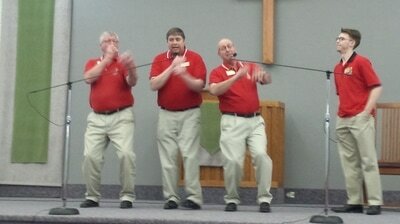 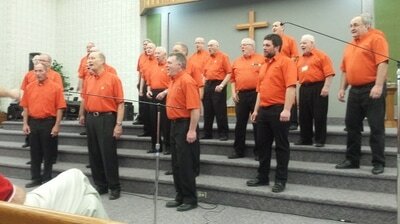 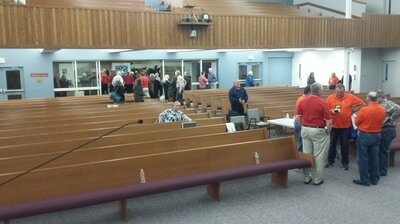 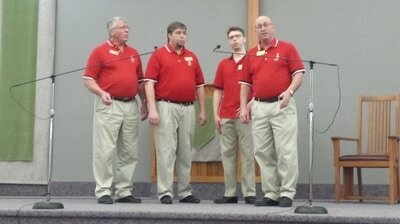 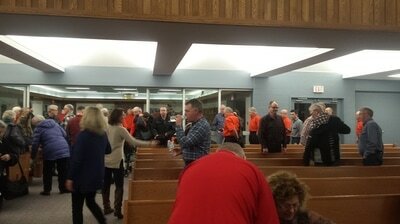 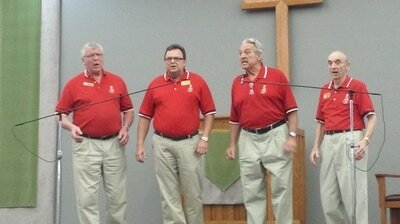 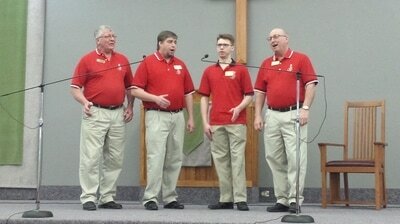 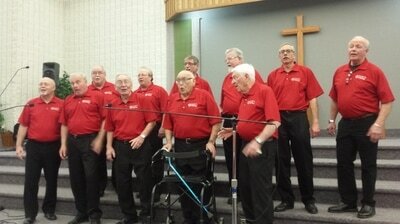 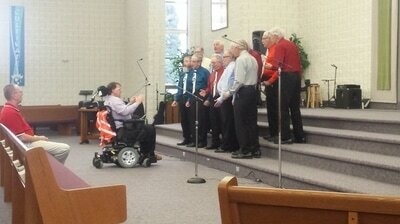 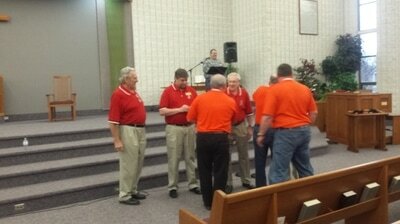 Quartets and choruses came from Sarnia, Seaforth, Middlesex, London and Strathroy. Scroll down to view photos taken and there are two videos of performances to watch at the bottom of the page.